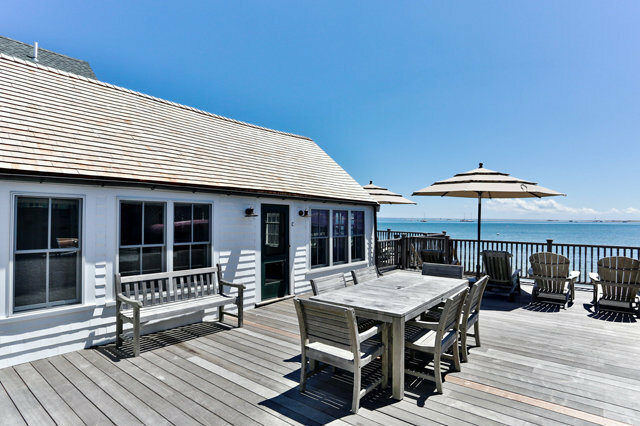 Condominium - Provincetown, MA Located in the heart of the West End, the Boathouse and Cottage at Labrador Landing offer expansive views of Provincetown Harbor, Long Point and beyond. The wisteria trimmed 1br/1ba two story Cottage is fully equipped and has water views from each level. The cantilevered 1br/1ba Boathouse enjoys unobstructed water views and combines vintage architectural details with modern amenities, plus a sleeping loft and outdoor shower. Part of a small three unit association, these two units are surrounded by mature plantings and have access to an expansive exclusive use waterfront deck with private beachfront staircase. Onsite parking for one car. Combined, the two cottages rent upwards of $8,715 per week in-season. Repeat guests booked for 2019. Pets permitted for owners and tenants. Two moorings.